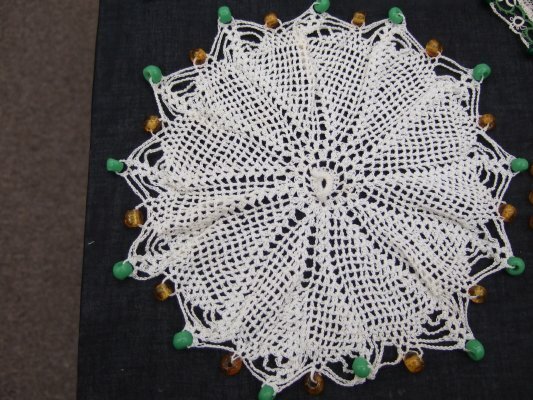 Description Cirular cream crochet trimmed with amber/mid green beads. Small crochet handle in centre. Condition excellent. There are many milk/sugur bowl covers already on PastPerfect but they have so little data it is impossible to say if they are this one or not.